There are excellent medical facilities in Rio de Janeiro for patients trying to seek foreign plastic surgery. Brazil’s international reputation in the medical tourism is growing. Rio de Janeiro have some of the world leader clinics in plastic surgery and in the country there are magazines for the public about plastic surgery, the latest procedures and the best surgeons. Make sure you find a surgeon that is board-certified. And ask questions about what kind of surgery facility they operate. 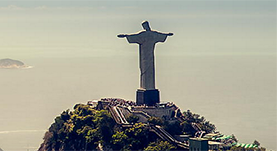 For a full coverage about Brazil as a medical tourism destinations.